Sport-locker.net can today reveal that TaylorMade Golf Company have announced a partnership with Microsoft, aimed at enhancing the golfer’s performance and overall experience through advanced analytics and more. 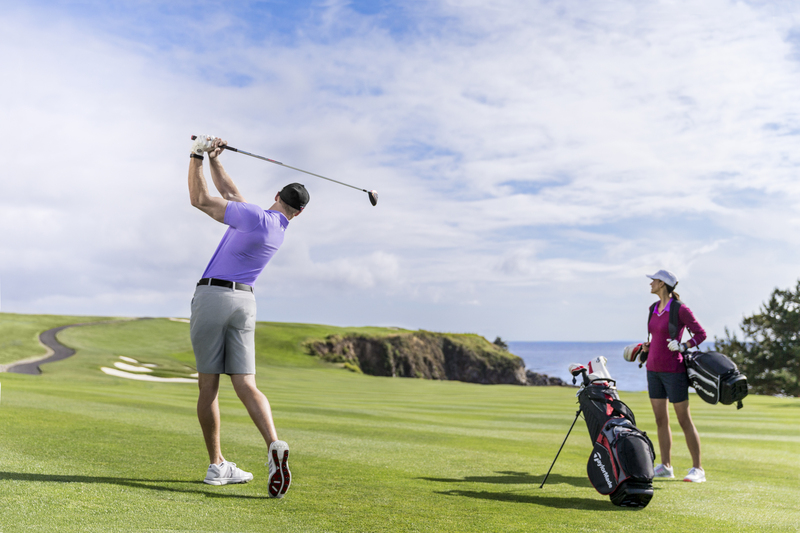 Through the use of the Microsoft Band and a series of original applications, the two companies will provide golfers of any skill level with extraordinary shot tracking and analysis capabilities, in a two-phased approach. Microsoft is announcing the of launch the Golf Tile and experience on the Microsoft Band. The functionality includes: shot tracking and detection; GPS yardages to front, middle and back of the green; a digital scorecard and biometrics such as calories burned, steps taken, heart rate and duration of the round. While shot tracking, GPS and biometric data are available on the Microsoft Band throughout the golfer’s round, a summary can also be found on the Microsoft Health phone application (iOS, Android and Windows Phone) or Microsoft Health web dashboard when the round is completed. In the coming weeks, TaylorMade Golf Company is set to launch myRoundProTM, a stand-alone analytics platform that is enhanced when used in conjunction with the Golf Tile and Microsoft Health. myRoundPro from TaylorMade will analyse golfers’ statistics in further detail and will include new data such as strokes gained, proximity to the hole and other classic statistics such as fairways hit and greens in regulation, all developed to help the golfer adapt and improve their game. The Microsoft Band is available in the US in Microsoft Stores, at Amazon, Best Buy and Target, and online at www.microsoftstore.com for $199. It is available for £169 in the UK and at retailers including Amazon, Curry’s PC World, Dixons Travel, Harrods, and O2. At launch the Microsoft Golf Tile, Microsoft Health and myRoundPro from TaylorMade will only be available in the United States and United Kingdom. What do you think of the TaylorMade Gold partnership with Microsoft? Let us know in the comments section below or on our Twitter and Facebook pages.